Use a variety of geographic tools and skills, together with an inquiry–based approach, to investigate the characteristics of the Asia–Pacific region. Explore how and why, over time, human and physical interactions produce changes to the characteristics of regions. Civic and Citizenship – personal identity, knowing rights and responsibilities as a citizen, social justice. Appreciation of Australia’s role in the global community. Using data from the video clips and an atlas, describe the journey led by patrol officer Jim Taylor. Include as many geographical features as possible, including landform, vegetation and distance traveled. Using the video clip and an atlas try to trace the patrol officers’ route from Mt. 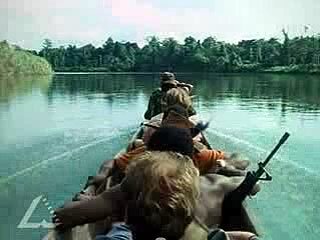 Hagen to Sepik. Use this resource and the diary entries mentioned in the video clips to write a diary as if written by one of the patrol officers in 1938. Mark each entry on your map and include a small drawing showing a feature of the local environment. Why do you think it was so important for the daughter of one of the 1938 patrol officers to retrace the route taken by her father over 50 years ago? What do you think she meant by, “the spirits will be settled”, as a reason for her expedition? How do you think the region has changed since the 1938 journey? What sources of information might give you data about these changes?